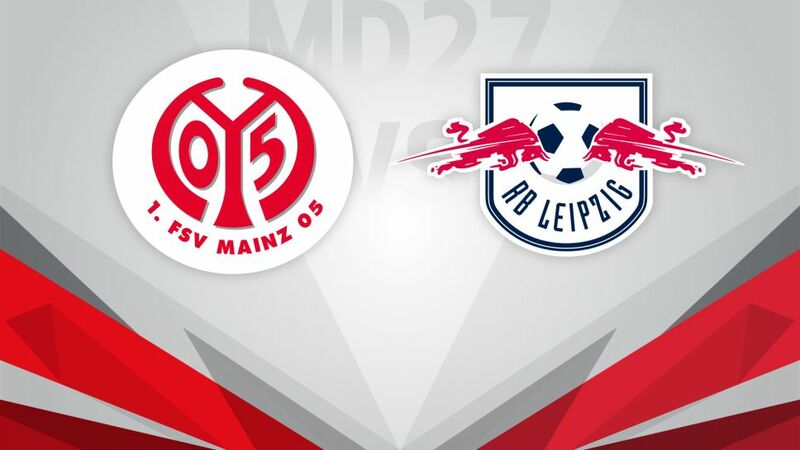 Mainz will be hoping to halt a negative run of results when they host second-placed RB Leipzig on Wednesday (kick-off 20:00CEST/18:00GMT). A 2-1 defeat at Ingolstadt on Matchday 26 has well and truly dragged Mainz into a relegation scrap. The 05ers have now lost their last three matches – including against the bottom two – and have dropped to 15th in the table for the first time in Martin Schmidt’s reign. Mainz have never lost four league games in a row under Schmidt and - at the start of a run of four games against top-eight sides - they could do with a sixth home win of the season this week. A 4-0 win over bottom club Darmstadt snapped a two-game losing streak for Leipzig and their grip on second spot looks a little more secure after Borussia Dortmund could only take a point from the Revierderby at Schalke. Ralph Hasenhüttl’s team have only one win in their last six matches on the road, however, so they will be keen to chalk up their seventh away success of the campaign on their first ever visit to the OPEL ARENA. If they do manage to win the second competitive meeting of the sides, the visitors would remain at least four points clear of third-placed Hoffenheim with only seven matches to go.